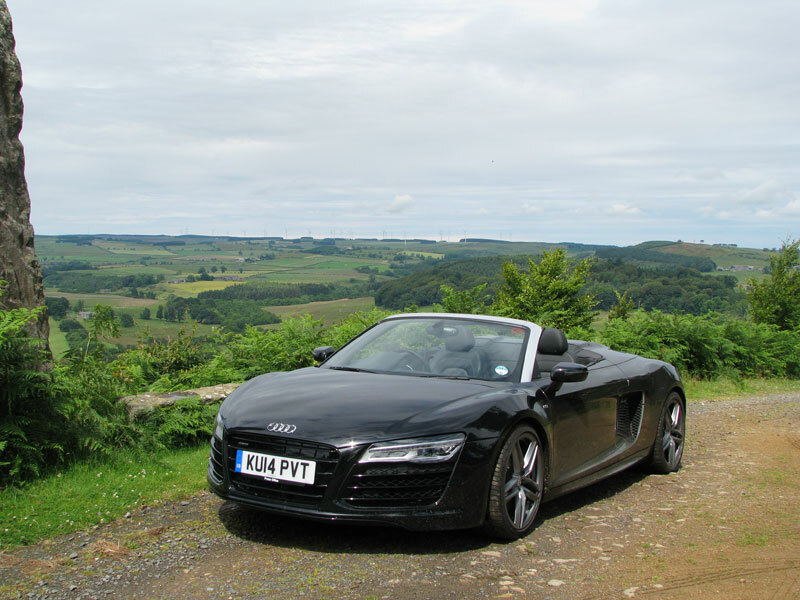 So, to make the most of this rare treat of having such a car for five days, we had planned a trip north to visit some old friends, and some iconic sites as locations at which to photograph the new Audi R8 V10 Spyder convertible. With a four day trip in mind we had packed accordingly – so it came as a bit of a surprise on opening the boot, or should I say bonnet as of course the Audi R8 has a rear engine, to see the very limited space for luggage – it was fortunate that it was not winter as there was definitely no room for coats and boots. It seems to be common amongst these supercars that there is very little luggage space, and even less in the convertibles because of the amount of space required for the roof to be opened and closed, in the Audi R8’s case the roof opens in just 19 seconds even whilst travelling at 31 mph. However with a little bit of careful manipulation our overnight bag, and suit bag fitted snugly. The next ‘pre-flight check’ was to set the satnav, but several attempts later we concluded that this was the most un-friendly in-car navigation system that we have yet come across, and seemed to prevent you from simply using a postcode for the destination! At the risk of having an argument before we had even left, we decided to start the journey as we were running very late by then, and worry about the SatNav later. 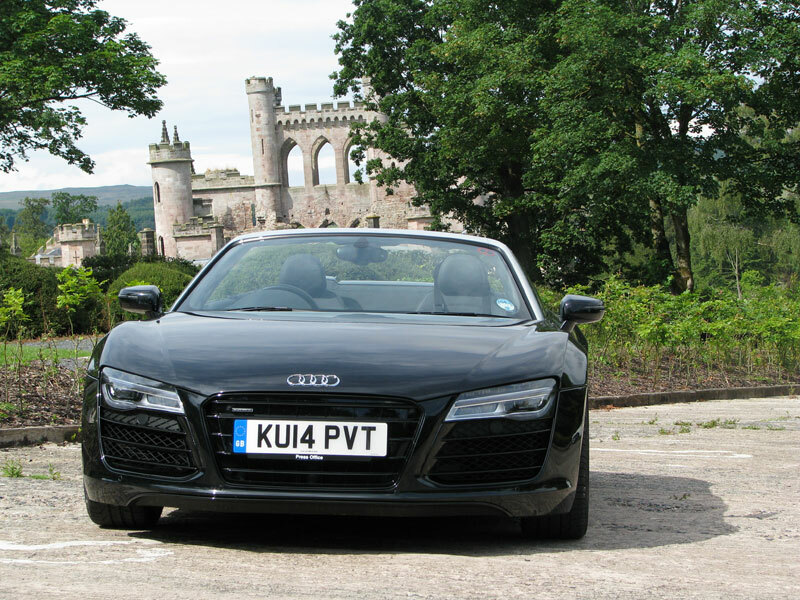 Now the fun began – all negative thoughts were soon dispelled as the Audi R8 got into her stride. Immediately noticeable, besides the power, was the feeling of complete stability and comfortable driving position. Our first destination was the Lake District to spend a night at the wonderful Sharrow Bay Hotel on Ullswater. According to the AA this journey should have taken us four hours but due to one traffic hold up after another, including actually stopping completely for half an hour on the M42, we did not arrive until eight hours later. At least we had plenty of time to work out that we could key in a ‘Special Destination’ into the satnav, Sharrow Bay being so well known as to be a dedicated destination and once programmed, the third person in the car – the female voice of our Satnav – directed us efficiently to the Hotel’s door. 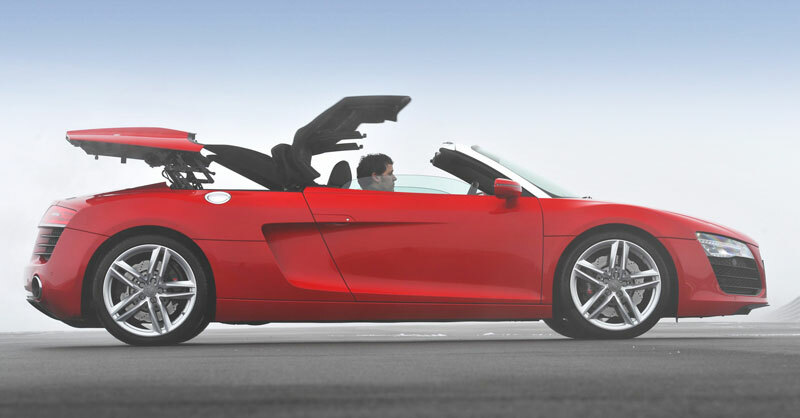 By now all frustrations had been long forgotten and forgiven now that the Audi R8 had become ‘our’ car. 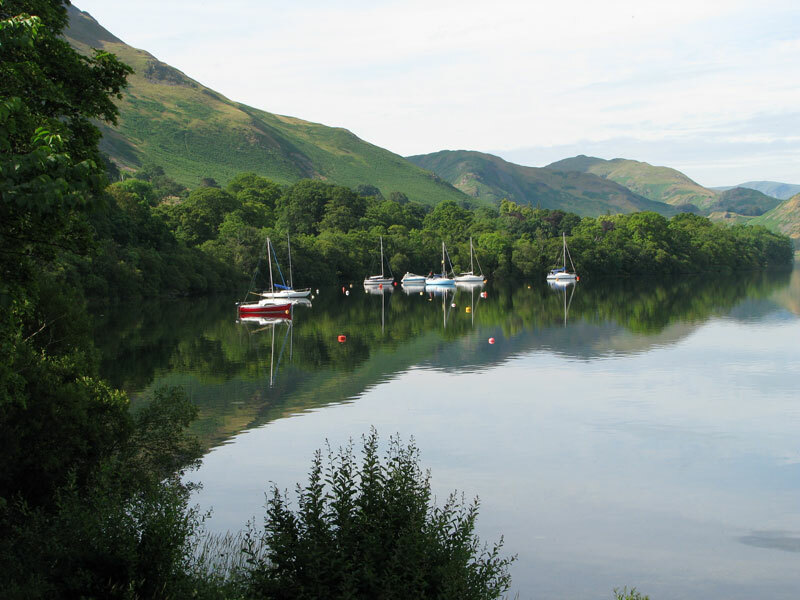 Sharrow Bay overlooks the stunning Ullswater and it is quite possibly one of the most beautiful locations in the UK. The hotel was the creation of Francis Coulson, and his partner Brian Slack and was where the concept of the country house hotel began, setting the standard to which we now all aspire. 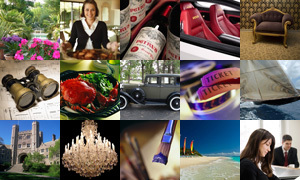 It is celebrating its 65th Anniversary this summer and although the rooms have been updated and modernised, the overall feeling of elegant and traditional old style luxury prevails and all remains very much as I remember it from thirty years ago when I first visited this iconic hotel. Sharrow Bay was subsequently bought by my old friend, Andrew Davis, as part of his Von Essen Hotels group of iconic British hotels, which sadly went into liquidation in 2010. 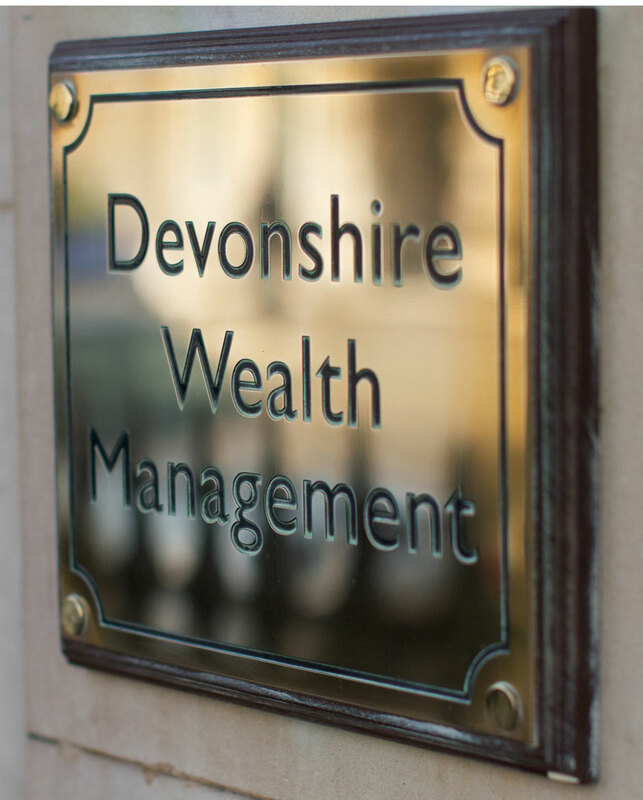 However, Andrew managed to retain Sharrow Bay and Ston Easton, his two favourite hotels, and has since acquired the Forbury Hotel in Reading, which is receiving rave reviews, so it would appear that the Phoenix is about to rise again; proof, if it were needed that you cannot keep a good man down! 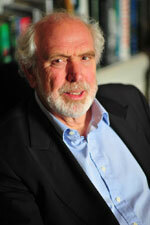 Andrew Davis is certainly a great hotelier and knows what his customers want. Anyway, it was wonderful to be back at Sharrow Bay despite having arrived so late. Our superbly decorated deluxe room enjoyed magnificent views over the lake to the mountains beyond, and was a very welcome sight and relaxed us immediately. We had time to wash and change before descending for dinner at 8.30pm and with glass of champagne in hand we browsed the menu and looked forward to the dinner ahead. The head chefs, Colin Akrigg and Mark Teasdale have perfected a world famous cuisine at Sharrow Bay utilising the finest and freshest locally sourced ingredients. However they have not abandoned the traditional sticky toffee pudding created by Francis Coulson back in the 1970s. Now I know we have all had this pudding somewhere but trust me you need to go to Sharrow Bay to experience the original and finest version. Needless to say I rounded off my delicious dinner with this pudding as I had not travelled the best part of 300 miles to miss this treat! Ullswater is considered by many to be the most beautiful of the lakes and certainly that evening with the moon reflected in its glass like surface, and the black sculpture of the Audi R8 silhouetted in the moonlight, Ullswater fully deserved its reputation. Waking the next morning, the lake was now bathed in the early morning sun with barely a ripple across its surface. I was impelled to take a stroll along the lake side to absorb the beauty of it all before the rest of the world awoke, and before returning to Sharrow Bay for a delicious breakfast. We placed the Audi R8 in front of the hotel and the lake to record our visit and reluctantly left Sharrow Bay as we had a long journey ahead of us. Our first destination that day was nearby Lowther Castle, or the remains of it, which has always held a fascination for me, since I read a fabulous book by Douglas Sutherland called ‘The Yellow Earl’, all about the life and times of Hugh Lowther, the 5th Earl of Lonsdale, K.G. G.C.V.O. 1857-1944. This excellent book describes the extraordinary life of this fascinating and eccentric man, who has influenced our lives in ways in which few of us realise. He formed the National Sporting Club to govern the boxing world, and donated the Lonsdale Belt and his famous yellow livery became the uniform and the colour of the vehicles for the original Automobile Association. This same yellow livery was worn by his private Army, the last in England, made up of his staff who he would parade and take on manoeuvres, paying testimony to his wealth and power. In addition to his many courtesy titles, he also inherited a kingdom in Cumberland and Westmorland, as well as Lowther Castle, which was one of the largest houses in the country. There was an agricultural estate of fifty thousand acres, and another fifty thousand acres of ‘common’ land, over which he retained all the mineral rights, and the sporting rights. There were the Isles of Windermere and Grasmere, and the ruggedly beautiful Haweswater. In west Cumberland he owned the whole town of Whitehaven, the rich coal fields which stretched out under the Irish Sea, and another family seat, Whitehaven Castle. In London there were two of the great mansions in Carlton house Terrace knocked into one, which provided his London home. 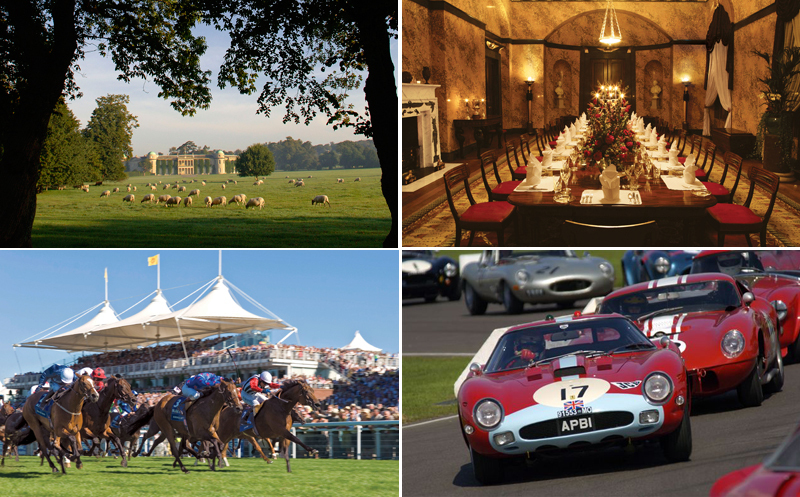 There was also another house at Newmarket and two steam Yachts at anchor at Cowes, and the rich lands in the heart of the hunting country in Rutland, and the magnificent hunting box and stables at Barley Thorpe. Above all, from his own coal fields, iron mines and agricultural lands, there flowed a prodigious tax-free income of almost £4000 a week, which in today’s money would be nearer £400,000 a week. Without doubt he obviously had the income to indulge in his various passions and obsessions and to make his mark on society. Unfortunately he was so intent on establishing his position in high society that he irritated many to the extent that Lord Ancaster once famously described The Yellow Earl as, ‘almost an Emperor but not quite a Gentlemen’. Damming indeed! Having driven so far north I was determined to visit the ruins of Lowther Castle, which is finally in the process of being restored, in order to get a sense of this character. There we met a charming lady, Christine Rose, who runs the shop at Lowther, and we shared our enthusiasm for Hugh Lowther and in particular the book ‘The Yellow Earl’ and both regretted the fact that it is now out of print. 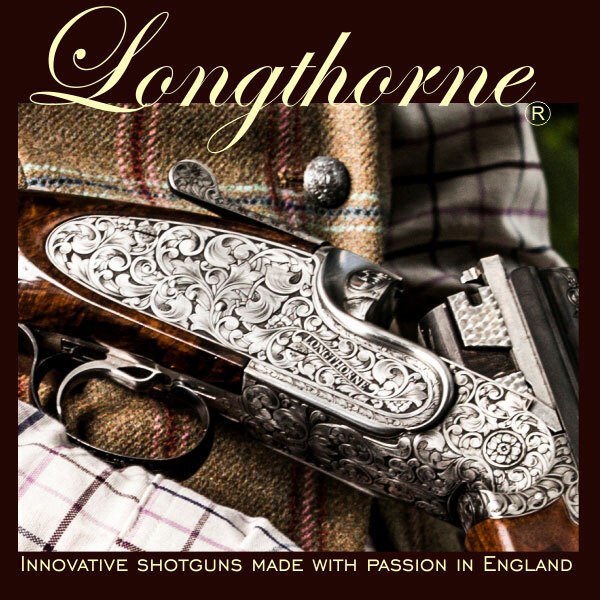 This has inspired me to write a Guide Book summarizing the most interesting parts of the life of Hugh Lowther which we both agreed would be well received in the shop at Lowther. So yet one more project to undertake and I am hopeful that I can complete it within the next year. In the meantime if you click here, you can read the article which I wrote for this magazine some time ago, which will give you a taster of the book. Anyway, having inspected the restoration works at Lowther we travelled half an hour northwest to lunch with one of my oldest friends, the Artist, Frankie Cranfield, who lives in rural bliss with her family, dogs, chickens and parrot in a house in the hills above Caldbeck with commanding views over the surrounding countryside. We dined there ‘al-fresco’ in their beautiful garden, and all was well with the world. 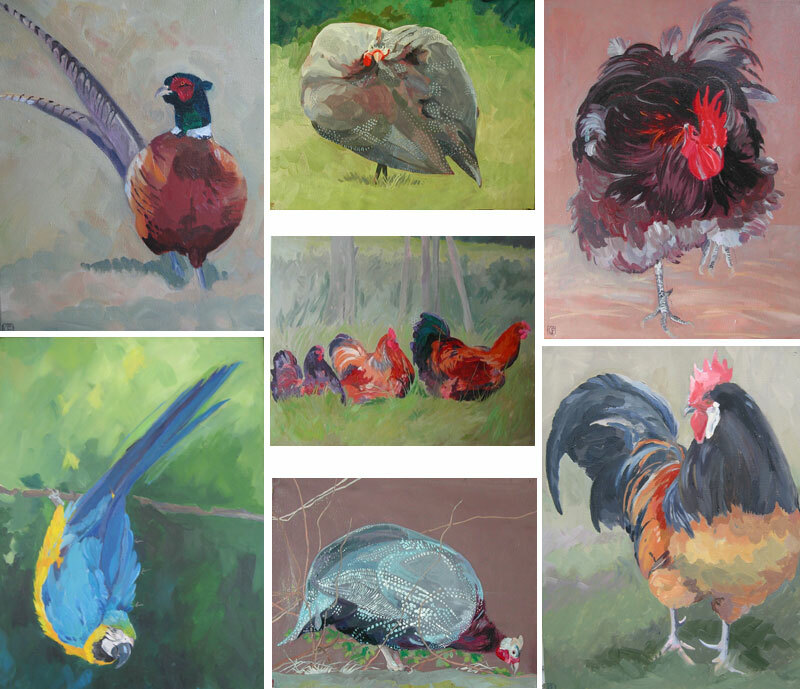 After lunch Frankie showed us around her studio and we were once again reminded of her talent which we had written about in The Vintage Magazine – Frankie Cranfield Artist and Traveller – and we would like to remind you that as readers of this magazine you would receive a 10% discount on ordering any of her art work which includes paintings, drawings, tiles and cards – go to her website Frankie Cranfield to see her work. We then ventured northeast towards Edinburgh and took the scenic route on the A71 to the outskirts of Edinburgh, and then cut back to Kirknewton, where we were spending the night with my old friends Lord and Lady (Stewart and Amanda) Aberdour at their farm which is part of the family estate of Dalmahoy, the seat of the Earl of Morton, and it was good to be in their company again, and we had a really enjoyable evening catching up with each others news. We have known each other for 30 years now, so it was a great pleasure to see them again. Stewart is descended from the Black Douglas, and contributed to a book which I published in 1987/88 on the Australian Bicentennial, which documented the extent to which his ancestor, the Earl of Morton, had help finance Captain Cook’s voyage on the Endeavour. Click here to read the fascinating article Stewart Aberdour wrote relating the story of his family’s involvement in Captain Cook’s discovery of Australia. In fact, we last saw them about two years ago when I wanted to gain access to the Morton records, to try and prove that the Earl of Morton bought or commissioned a clock by William Hughes of 119 High Holborn to place in Captain Cook’s cabin. 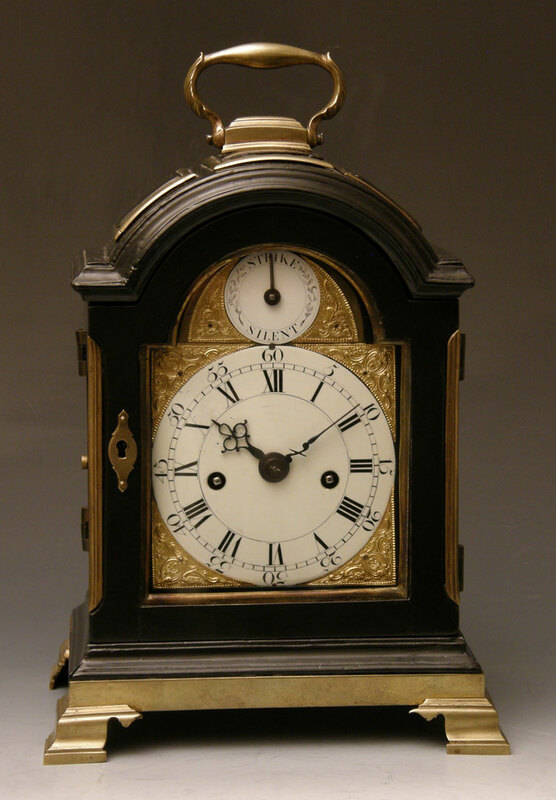 In fact there are two clocks made by William Hughes to the same unique design specially made to travel on board ship. One of the clocks is in the Museum of New Zealand and the other is for sale by Carter Marsh & Co. in Winchester. 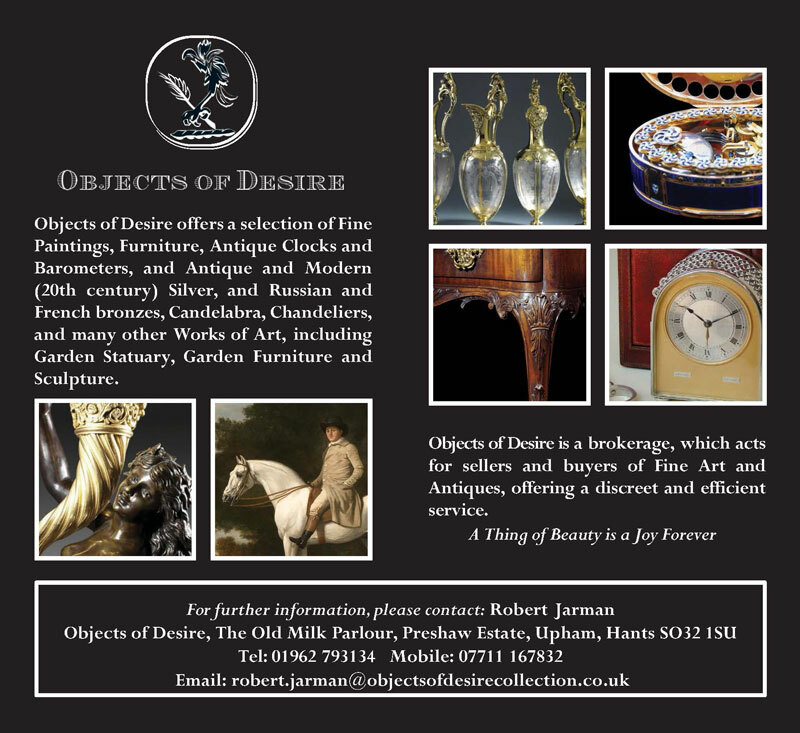 Click here to read more about this exceptionally important clock both historically and horologically. We left the next morning at 9am for the drive to Alnwick Castle where we had arranged to meet Andrew Farquarson, the Controller of the Household at Alnwick who had previously held high positions in the households of Her Majesty The Queen and Prince Charles. His Grace the Duke of Northumberland, who was abroad that weekend, had kindly asked Andrew to give us unlimited access to the castle and estate, and we made the most of this generous offer. We entered the Castle through the main gatehouse of the Barbican above which has the Percy Coat of Arms, with the lion rampant, carved in stone, and under it, the Percy motto ‘Esperance ma Comforte’ – Hope is my reliance , used by Hotspur as a battle cry! We entered the inner courtyard of this historic castle but probably more famous in recent times as the setting for the Harry Potter films! This probably accounted for the hoards of young visitors and Japanese tourists. We drove across the courtyard to the middle gateway, and parked the Audi R8 in front of the huge Octagonal Towers leading to the inner courtyard, with its Norman Arch. 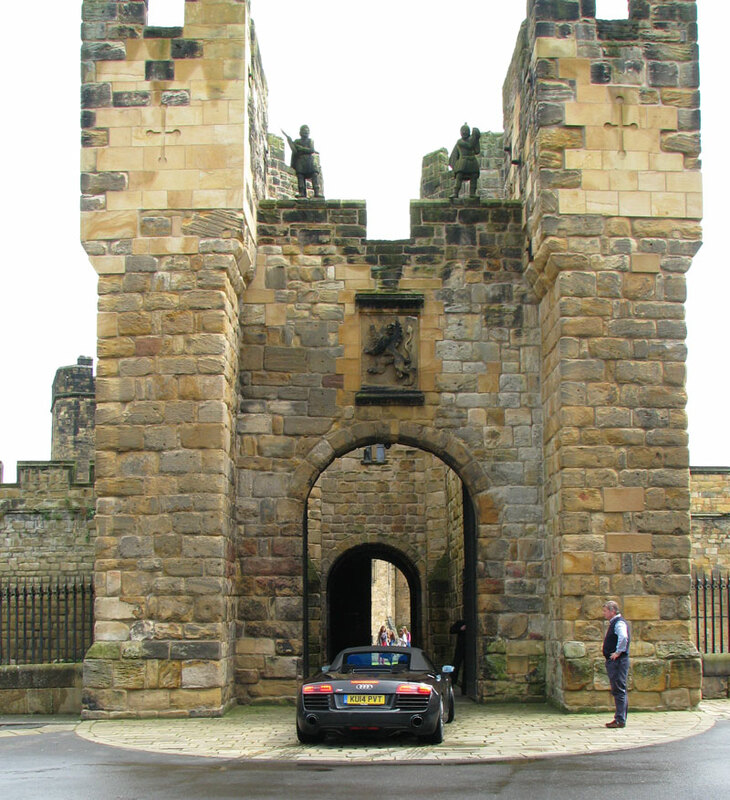 Having taken as many photographs as we could manage of the car posed in front of iconic features of Alnwick Castle, we then drove around the Home Park, which is actually called Hulne Park, a walled park covering several thousand acres. I was lucky enough to shoot there many years ago, when they had the shoot lunches in the 13th Century Hulne Priory, which had also been used as a film location for Maid Marion’s home in Robin Hood, Prince of Thieves’, starring Kevin Costner. 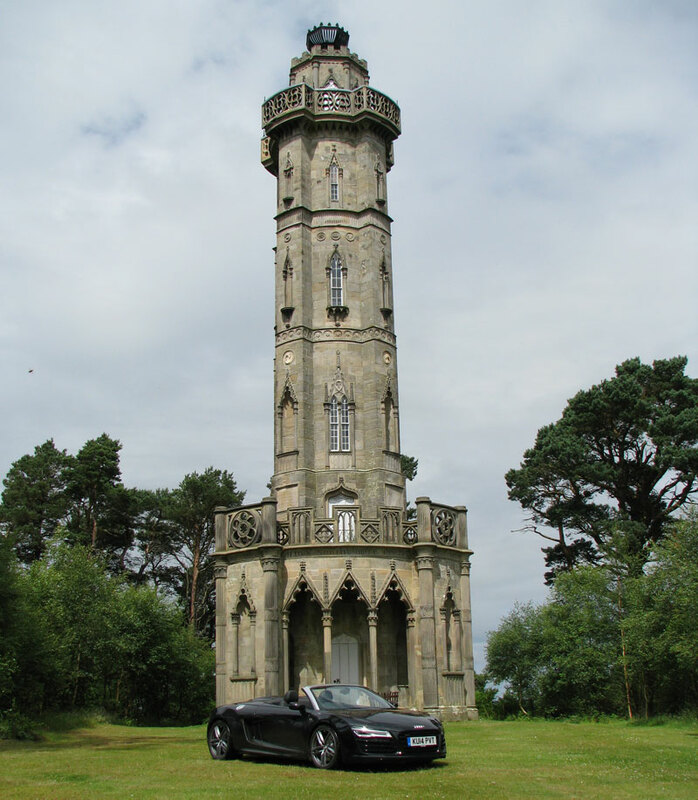 We took photographs of various landmarks including the extraordinary folly, named Brizlee Tower, built in 1781 by the Ist Duke of Northumberland, Hugh Percy to commemorate the life of his wife, Lady Elizabeth Seymour. Alnwick was a superb venue for this photography, and we are immensely grateful to His Grace, for providing us with this unique opportunity. My other reason for visiting Alnwick was to met the Duke’s head keeper, Garry Whitfield, to discuss their hugely successful wild Partridge project, for which they won the Purdey Conversation Award in 2007, and about which I will be writing in the near future for a general article called ‘Ducal Greys’, about this and similar projects throughout the UK. 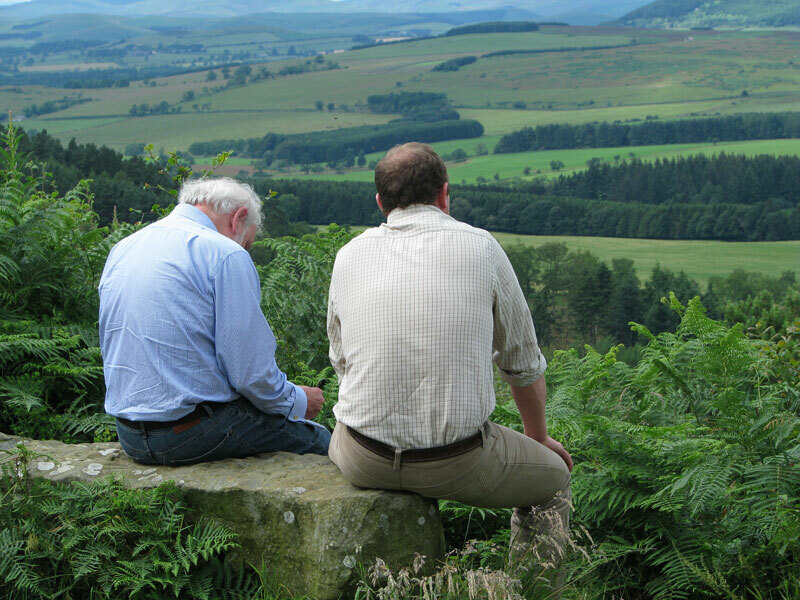 A fascinating and informative hour ensued as we sat overlooking the most stunning landscape of the Northumberland Estates which we were informed is also the Duke’s favourite view. We left Alnwick at about 4pm, and arrived at our final destination, Harewood House and Estate near Leeds, where we were to stay with my old PA from my Debrett days, the delectable Sara Ussher (nee Mackesy) who is a horse whisperer. She sustained an awful injury earlier this year from one of her charges, and is only just back on her feet, but not yet back in the saddle. Her delightful husband, Christopher is the Land Agent at Harewood, but also serves as a Trustee for the Harewood and Lascelles family trusts, so is very much part of that success story at Harewood, but last year was asked by the Trustees of Harewood House Trust (HHT), to step in as a full review was needed, and is currently underway. We also had the pleasure of meeting their daughter, Daisy, for the first time, and her charming boyfriend Ollie, who was due to receive his Degree at Leeds University the following morning. We all played a very competitive game of croquet before supper, and it was good to be in their excellent company again. The next morning we photographed the Audi R8 Spyder in front of Harewood House against a backdrop of a huge Henry Moore sculpture on display – both tactile sculptures in their own right. We left for our final drive back to Hampshire, which was on very busy roads all the way, and it is easy to subscribe to the theory that this country has far too many people in it! However, the joy of driving the Audi R8 compensated for the appalling traffic, and it is without doubt one of the fastest cars we have driven, but also one of the safest, with phenomenal ride and road handling, and we were lucky enough to have the roof down the whole way home, and so could enjoy the car with sunshine on our shoulders. As for our road trip, it was wonderful to visit so many old friends and familiar places, and I hope we have done the Audi R8 Spyder justice, because it is an exceptional vehicle, and certainly lived up to all expectations.